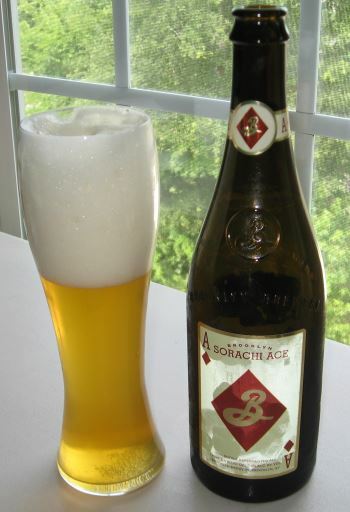 Brooklyn Brewery’s Sorachi Ace is a Belgian Saison (or farmhouse ale) brewed with their own strain of Belgian yeast and the very unusual Sorachi Ace hops, developed in Japan and grown in Washington, and these add a strong lemony aroma and flavor. The head on this beer is massive and persistent. It developed into a thick sticky foam that stayed with the drink until the end. The nose as mentioned before has loads of lemon, and is a bit grassy as well. The middle is surprisingly sweet. The flavor reminds me quite a lot of a shandy. (Half beer, half lemonade.) There’s a good bit more lemon flavor here, but any sour or tart notes are entirely offset by the amount of sugar. The finish is more of the same, with a bit of the Belgian yeast showing through here. This is a very well executed beer, but too sweet for my taste. This entry was posted in Reviews and tagged Ale, Belgian, Belgian Saison, Brooklyn Brewery, Farmhouse Ale, New York, Saison on July 25, 2014 by Xander. 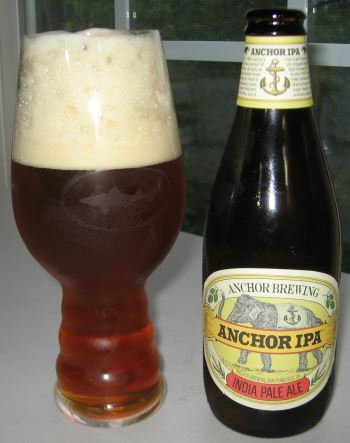 Anchor Brewing of San Francisco, CA, best known for Anchor Steam, their California Common Beer, also offers an IPA, much like every other ale brewery in the United States at this juncture in time. This is a west-coast style offering and the nose has grapefruit and orange and is slightly floral. The middle has more grapefruit and a bit of grain and pine. The finish is lemony. It’s a nice offering, flavorful and medium bodied with an alcohol content of 6.5% ABV. This entry was posted in Reviews and tagged Ale, American IPA, Anchor, California, IPA, West Coast IPA on July 22, 2014 by Xander. Georgia Brown Ale is a year-round English-style brown ale from Atlanta brewer SweetWater. The nose is toasty with a little bit of chocolate and fig. The middle is creamy smooth with chocolate and bread sweetening it, but it isn’t overly sweet, as there’s some roasted grain notes that balance it nicely. There is a bit of caramel in the finish along with a hint of orange. The body is medium and the alcohol is reasonable at 5.1% ABV. This is a solid English brown ale with nice full flavor that isn’t overstated or overpowering in any way. For a brown ale, I really like it a lot. 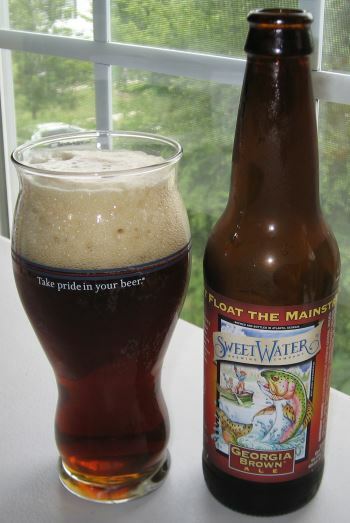 This entry was posted in Reviews and tagged Ale, Brown Ale, English Brown Ale, Georgia, Sweetwater on July 18, 2014 by Xander. Firewater IPA is a product of local North Carolina brewer, Catawba Brewing Company. 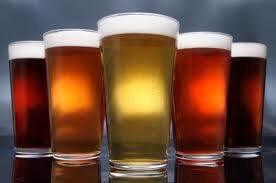 It is what they call an “East Coast IPA” which is their interpretation of a an IPA using six varieties of British hops, and six different malts, including wheat and five barley malts. This all leads to a relatively mild, balanced IPA that has the appropriate hoppy characteristics but that is also still relatively understated. The nose is floral and slightly bready. The middle has a bit of very mild lemon citrus and a dry wheat backbone. There isn’t much new in the finish. A bit more lemon, but it’s pretty simple. The alcohol is fairly average as well, at 6.0% ABV. All in all, this is a nice interpretation of an milder IPA, but nothing particularly stands out. This entry was posted in Reviews and tagged Ale, American IPA, Catawba, East Coast IPA, IPA, North Carolina, Wheat Ale on July 8, 2014 by Xander. No-Li Brewhouse has been around for awhile in their home territory of Spokane, Washington, but I’ve only seen them recently hit the shelves here in Charlotte, and though I’d give a couple of their brews a whirl. 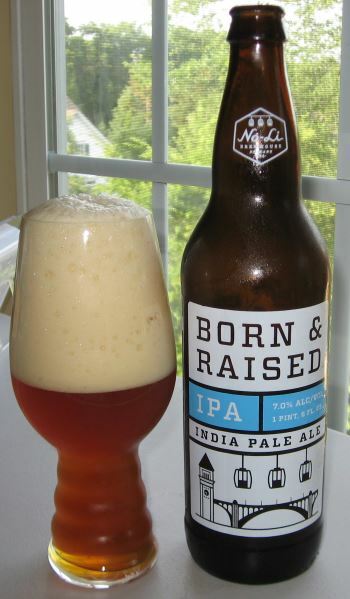 The first I’m tasting is Born & Raised IPA, a dry-hopped American IPA with a big balanced flavor. The head is meringue-like and sticks around, and the malts play a big role in the nose with raisins and prune notes in addition to a some citrus from the hops. The middle has a blast of orange and toffee and the finish has a bit of pine and more citrus. The body is medium and the alcohol is a generous 7.0% ABV. This is an IPA that isn’t overly bitter, so it may appeal to some folks who aren’t generally IPA fans. 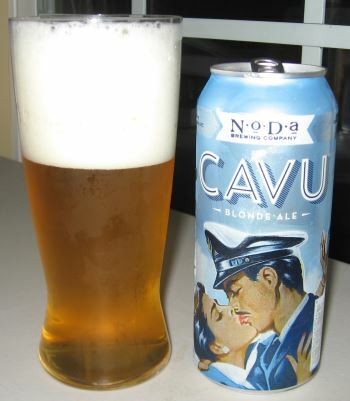 It is a big beer though, with a lot of body and flavor, not a typical summer lightweight. 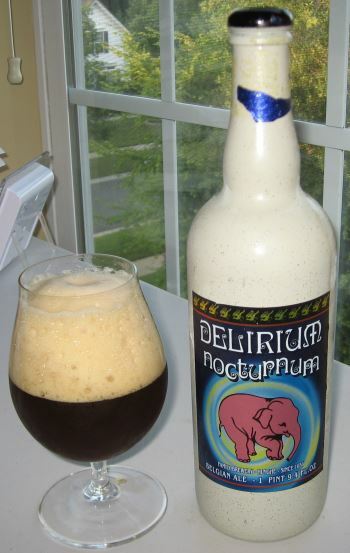 This entry was posted in Reviews and tagged Ale, American IPA, IPA, No-Li, Washington on July 4, 2014 by Xander.